Chord Odyssey 2 Speaker Cable Made In England (per meter) Brand New. Now Selling At RM125/M. Free Shipping Within West Malaysia. 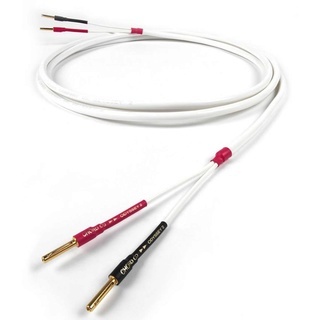 Chord Odyssey is one of the hi-fi industry’s favourite speaker cables and won the Hi-fi News Award for Best Speaker Cable five years in a row from 2001 to 2006. It is extremely compatible and performs really well across a huge range of systems. 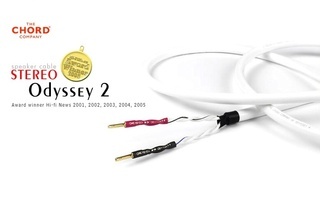 Odyssey is a very similar design to Chord Rumour but features larger conductors. This brings real improvements to the dynamics of sound and music, particularly in the bass. Cymbals are shimmeringly realistic, acoustic guitars and pianos have natural weight and realism. A great choice for any quality hi-fi or home cinema set-up. Chord Odyssey speaker cable is almost identical to Rumour. 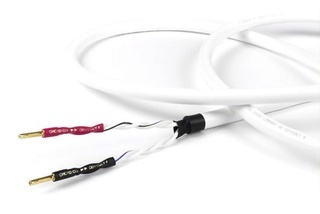 It features 19 strands of silver plated oxygen free copper per conductor surrounded by Teflon insulation and twisted together; the major difference being the overall gauge of the conductors. Whereas Rumour uses 16 gauge conductors, Odyssey has altogether more substantial 12 gauge conductors and will carry significantly higher currents. Like Rumour, Odyssey was initially only available as a simple twisted pair design and it was only later that the silicon jacket was added.